"A defining characteristic of Jane Austen’s fiction is its realism, which is manifest in details of speech, manner, lifestyle, and even geography. 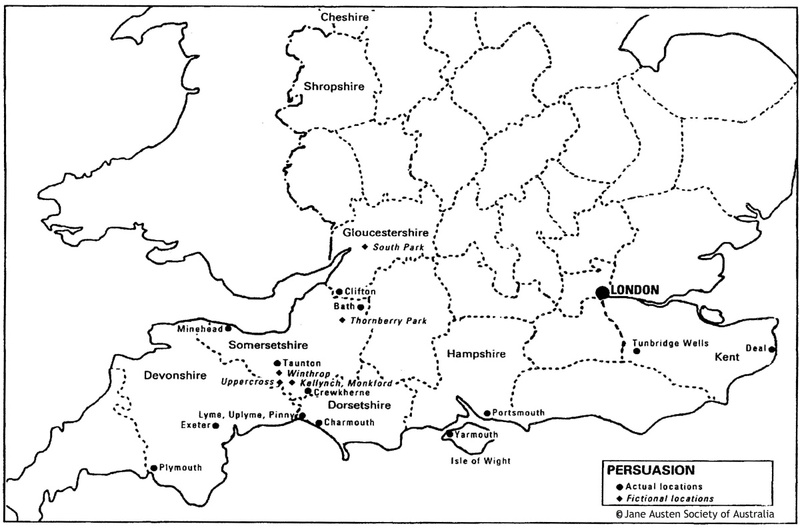 In each novel her “3 or 4 Families in a Country Village” are situated in a specific part of England. 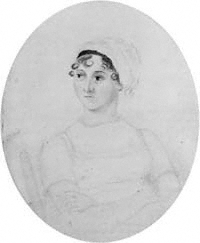 "Austen always names the county in which a novel’s action is set and often mentions cities and landmarks, though her villages and estates are invented. This section reproduces maps of the novels from Where’s Where in Jane Austen . . . and What Happens There, by Patrick Wilson, published by the Jane Austen Society of Australia. Jane Axelrod, a JASNA member in the Metropolitan New York Region, created the map of London."